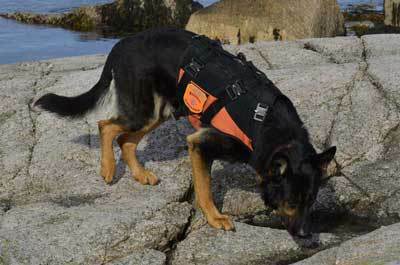 The K9 Storm Search and Rescue Vest is ideal for canine emergency task force work. The patented built-in load bearing harness system rated to 2500 lbs. 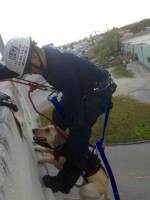 allows rescue dogs to be lifted or lowered in a variety of disaster scenarios. 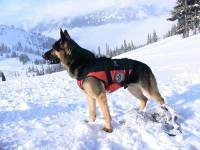 Helicopter rescue attempts and parachuting missions for the canine team are all made possible when the dog is wearing a K9 Storm Search and Rescue Vest. 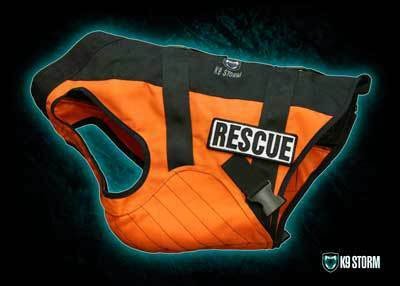 The K9 Storm Search and Resuce Vest has a kelvar belly underpanel to prevent scrapes and bruises when working in disaster terrain. 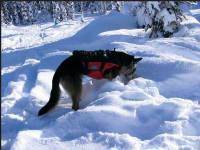 Highly visible colors make the working dog noticible in even the harshest of situations. Follow the link for more info on our Search & Rescue Vest Options.